We’d love your help. Let us know what’s wrong with this preview of Proverbs by Charles Bridges. To ask other readers questions about Proverbs, please sign up. The best spiritual book I've ever read besides the Bible. Simple, easy to understand, practical, and yet deep. Cannot recommend this book highly enough. I think every Christian should read it and own it. 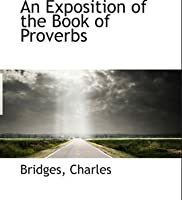 Bridges commentary on Proverbs is a rich study. I found his application to the believer in Christ particularly insightful and convicting. A great devotional commentary that provides good application for sermons too. Ahead of his time. 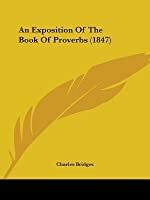 A great commentary/exposition on Proverbs. This would be great for pastors who are preparing sermons. Less technical than one like Waltke, more "pastoral", with great insight, but fully orthodox.